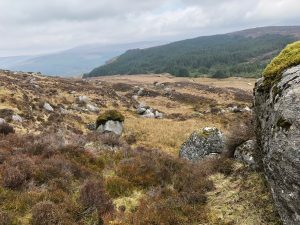 The 2017 Leinster Orienteering Championships were run by GEN on Brockagh east and Mall Hill on 9th April 2017. This area is no stranger to championship events with the IOC run there in 2011. There were mixed fortunes among the 10 Setanta Members who ran in championship classes. In good weather, the courses proved physically and technically challenging, as they should for a championship.